Banjo Workshop, with Tom Turino (Intermediate) – Study up on clawhammer style with the incomparable Tom Turino. Crankie Making, with Jess McIntosh and Joybird – Learn how to make these delightful painted moving scrolls that are cranked by hand. Joybird will perform, demystify and guide you through the steps to make your very own Crankie, or scrolling panorama – the pre-pre-movies. You’ll walk away with a majestic shoe-sized box of balladry & storytelling, plus all the tools/knowledge you’ll need to make more in the future. Fiddle Improv and Swing Jazz, with Allen Russell of Swing Chevron – Intermediate to advanced levels. Harmonica Workshop (Beginning), with Dave Witzany – It’s easy to begin to play the harmonica! Dave will lead the group using key of C diatonic 10 hole harmonicas. Learn about the instrument and begin playing melodies. If you have a C diatonic harmonica, please bring it. There will be a limited number of free harmonicas available. Singing Workshop, with Dennis Stroughmatt – Learn Illinois French and Louisiana French singing styles from the festival’s favorite crooner. Songwriting, with Morgan Orion – This is a collaborative songwriting workshop in which we will write a song inspired by the weekend as a group to be performed later that evening by Morgan Orion and The Afterburners. You need nothing but the clothes on your back to attend. Morgan has been writing and performing songs for ten years and will field some questions, but mostly wants to just jump in and get the thing done. Storytelling workshop, with Megan Wells – “The Dynamic Story”: How to craft a story that moves your listeners. All levels and all ages welcome. Swing Dance Workshop, with Paul Kwiat and Sarah Scott – Learn some moves before hitting the floor at the swing dance with Swing Chevron! Tangled Roots: Intersections Between Folk Music and Commercial Country, with John Stanislawski – Join phenomenal guitarist and singer-songwriter John Stanislawski for a look at historical and current relationships between folk and commercial country since the early 20th century, highlighting important moments that help us define each genre in relation to the other. 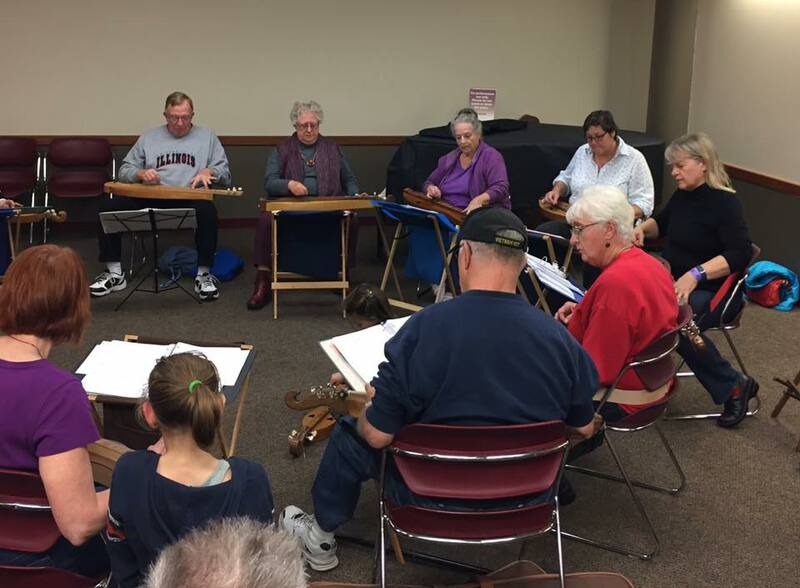 Ukulele Workshop, with Martha Tyner – You Can Ukulele, Too! Join the Ukulele fun currently sweeping the nation. Here’s your chance to learn the basics; it’s easy. Loaner ukes will be available.